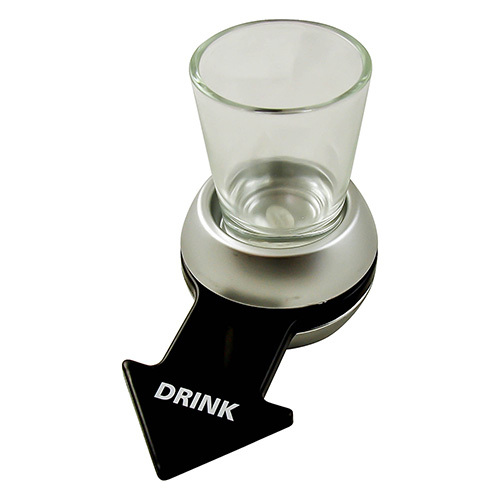 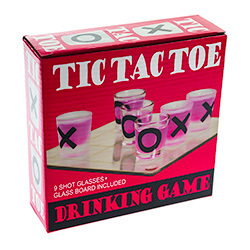 Get the party started with this simple game which most people will have played before, but this time with shots. 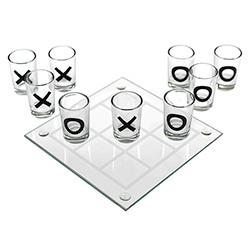 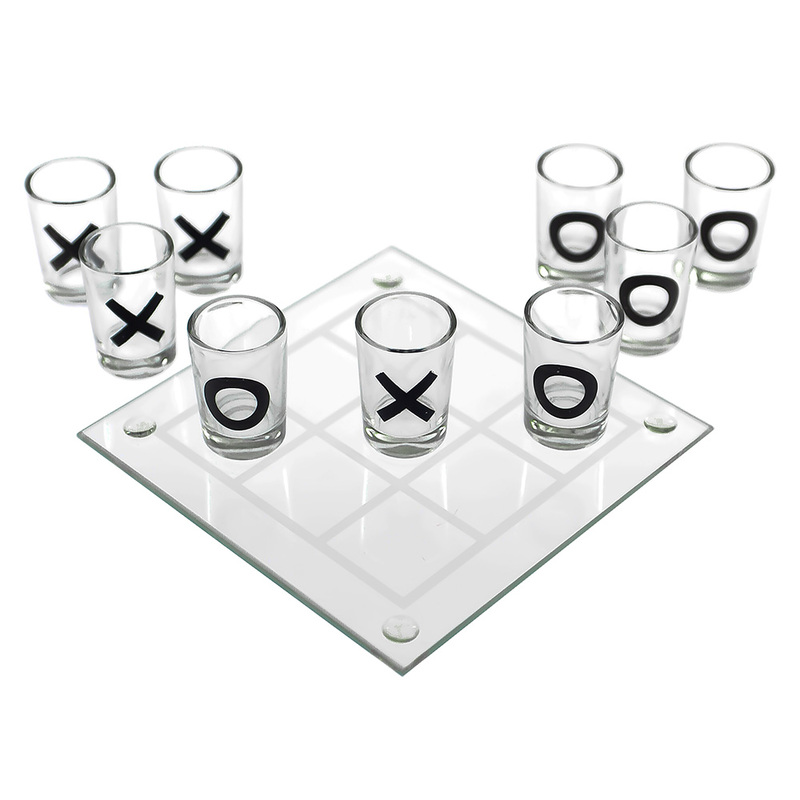 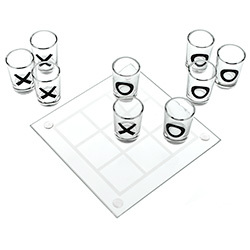 Two players take turns putting a shot down, the person who manages to complete their row of three then watches the other player drink the shots. The glasses are actually about half as big as standard ones, measuring about 3cm high. 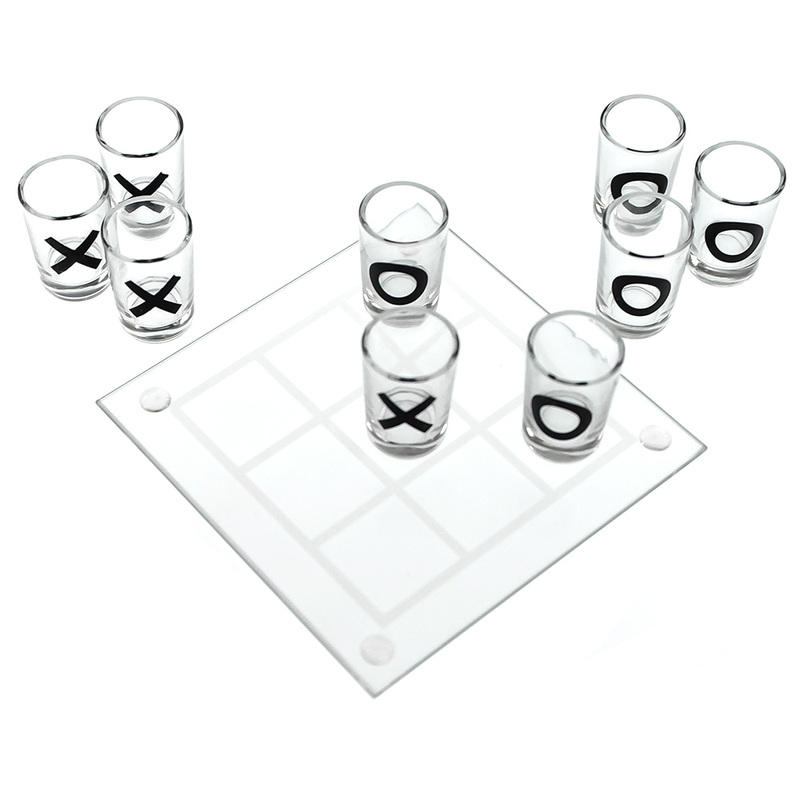 The board is made of glass and is a square measuring about 13cm on each side.